Tucked away in the far northwestern Chiba Prefecture in Japan is the City of Noda. 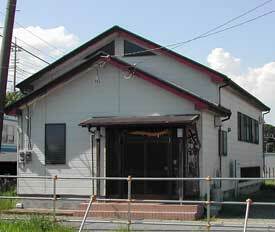 This is home to the Bujinkan Hombu Dojo and the birth place of Dr. Masaaki Hatsumi, or as his students call him ‘Soke’. This journey to “the source” is a right of passage for Bujinkan members worldwide. The estimated population of Noda is 155,644 and the total land area is 103.54 km or 39.98 square miles. This bedroom community is host to many residents who work in nearby Chiba and Tokyo. 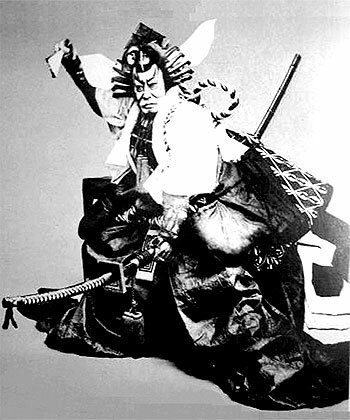 Danjuro Ichikawa IX as Kamakura Gongoro Kagemasa in the November 1895 production of Shibaraku. Noda and the surrounding areas were inhabited long before receiving “city status” in 1950. During the Heian period, which ran from 794 to 1185 A.D./C.E., the area was controlled by Kamakura Gongoro Kagemasa. Kagemasa was a samurai who fought for the Minamoto clan. He is most widely remembered for having continued to fight after losing an eye in battle. The area was then controlled by a number of warlords during the Sengoku period, also called the Warring States period. During the Edo period spanning between 1603 and 1867, Noda became a river port for travelers making the journey to Nikko. At the end of this period Kikkoman was founded. After the Mejiji Restoration in 1889 Noda was created as a town as was the neighboring area of Sekiyado. In 2003 Sekiyado merged into Noda. Noda is host to one of the Tokyo University of Science campuses. The Noda campus is known for its open layout of classroom buildings and spacious natural settings. It contains a number of research facilities and faculties of pharmaceutical sciences, science and technology and industrial science. The campus is a five minute walk from Unga Station which is a railway station on the Tobu Noda Line. The railway, which has been around since 1911, is privately owned and connects 39 miles of rail between Noda and other surrounding areas into the city of Tokyo. 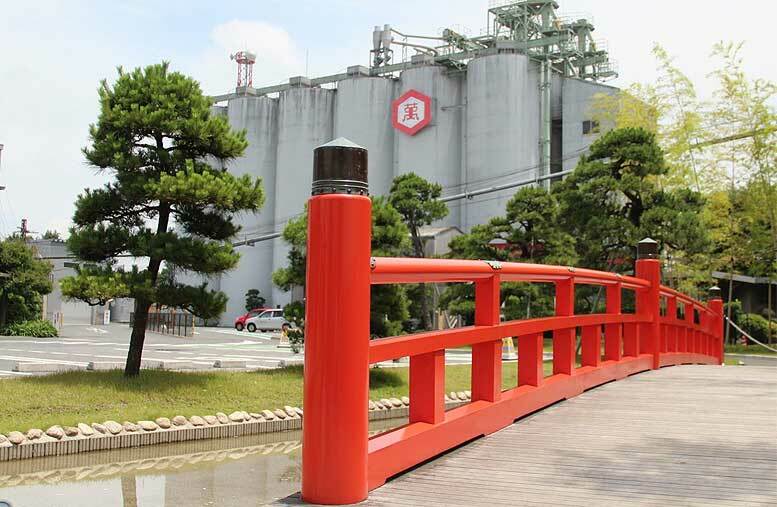 The primary employer in the area is Kikkoman Soy Sauce, which was officially founded in 1917. The company is a combination of eight family-owned businesses, which have been in existence as long ago as 1603. The ingredients in soy sauce which include soy beans, wheat and salt were delivered through the Edo and Tone rivers. The humid climate proved ideal for production. Kikkoman is the most popular brand of soy sauce in both Japan and the United States. In addition to such a rich pattern of tradition, a short walk from Shimizu station will lead you to Shimizu Koen. It’s a beautiful park located in Noda and it’s also the largest “field athletics” obstacle course in Japan. Test your ninja skills while swinging from ropes or jumping across floating wooden platforms. Oh yeah, there is water beneath most of the obstacles on the course so if you fall, you’ll need that change of clothes you brought with you. There are many other activities for those that don’t wanna swing or jump. In addition, there are pony-rides, campsites, fishing, barbecue areas, flower and herb gardens. What’s great about the park is you can order a la carte, meaning, each activity has a separate admission fee so you only have to pay for the fun you want to participate in. Tourists new in Noda will find a host of friendly, warm faces at every corner. There’s a healthy mix of the old and new and everything from custom shoji stores to custom Japanese altar shops and even a huge mall with a supermarket, AEON, attached sort of like a Super Wal Mart. When riding or walking through the city one can really get the sense that this is a real community. The strip of stores isn’t that long, and the details of this community are hidden very well. This is a city where it pays to travel off the beaten path and notice the little things like the custom manhole covers, the many temples and shrines, or even the secret ninja dojo. 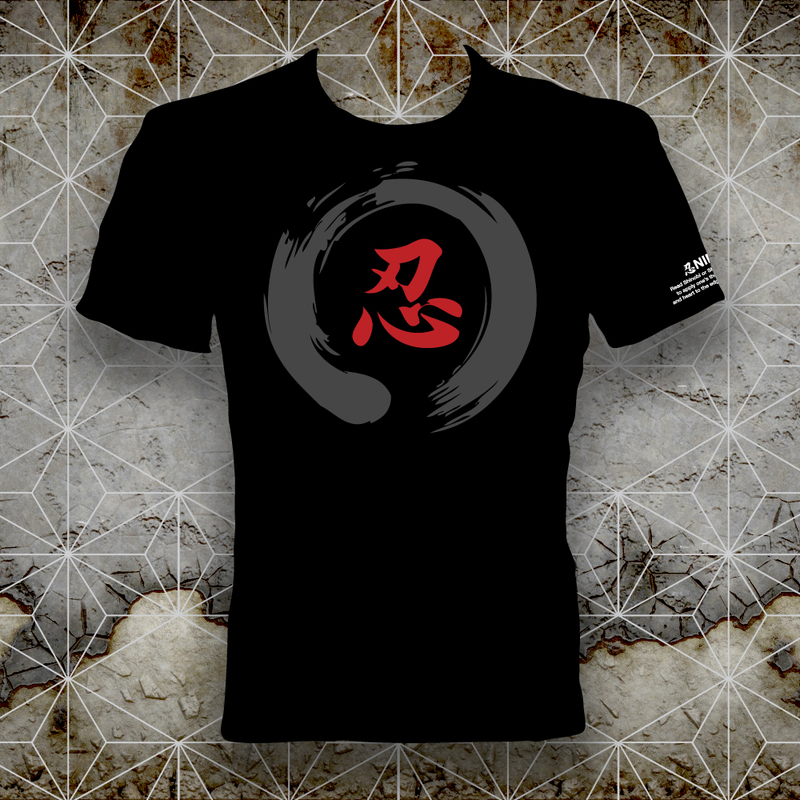 This entry was posted in Ninja Blog | Zenformation for the Modern Shinobi 忍術, Ninja History. Bookmark the permalink. Thank you for reading and hopefully you will share with your friends and join us on Facebook as well.